The expert system analyses the local trend and awaits the rollback of the price against the detected trend. The history period for searching for the trend and rollback is specified in the settings, the settings allow to specify custom parameters for buys and sells. The Expert Advisor does not make any time gaps on history, woks on the full history base. 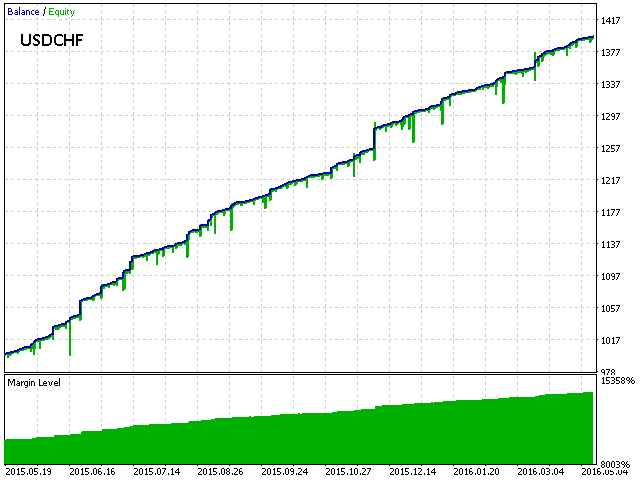 The Expert Advisor does not use Martingale of grid, the maximum amount of orders in one direction is two. Real Take Profit and Stop Loss are used together with virtual ones for safety reasons. The expert system is designed in a way that the ticks do not have key value. You can perform tests in any testing mode. Modes: every tick, every tick based on real ticks, by breakpoints and opening prices will be as close as possible to each other. This construction is implemented by using sampling of the active operations per one minute. That is, no active operation (except safety stops) can not be performed in the body of a minute, active operations are executed by open prices. 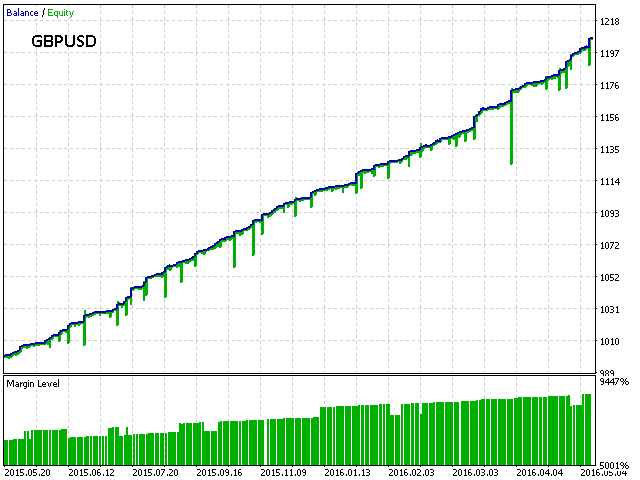 Rating of the currency pairs for the expert system: EURUSD;USDJPY;AUDUSD;EURGBP;USDCAD;GBPUSD;EURJPY;USDCHF;USDJPY. For the optimization to be correct, it is necessary to leave only one direction (buy or sell) enabled. Optimize for 1 year, the Custom parameter. The template files for the optimization of buy and sell are provided in the first message in the comments. 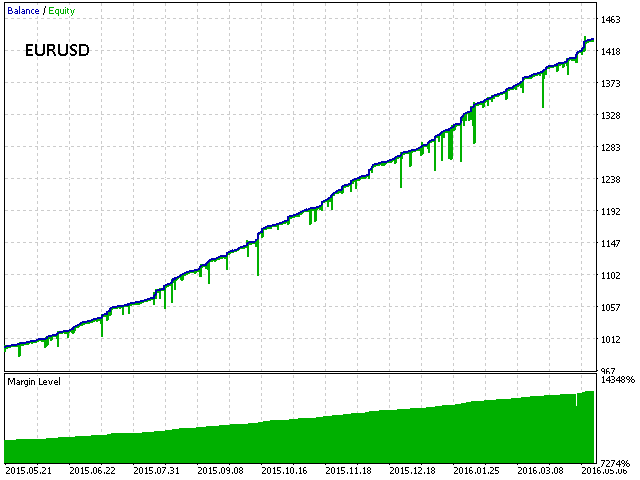 As well as examples of finished optimizations for different currency pairs. An important rule is to set the drawdown cut to 5%, and select the optimization results with the drawdown up to 5%. And for working, change the parameters and set the maximum drawdown to 20%, because the market is unpredictable and this will take care of that. For testing use the access.metatrader5.com:443 server (it has the full history), the instruction for testing is in the attached picture. NameSettings – Allows to specify the name for the setting. SelfPeriod – Set the EA operation period. WorkOpeningPrices – Activates sampling of the active operations by opening prices. 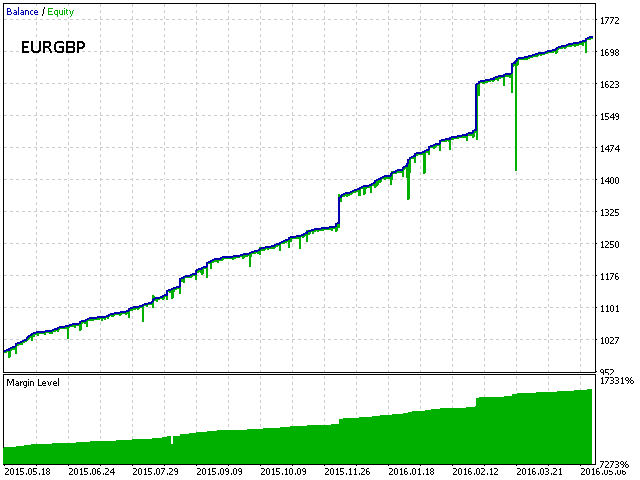 TrailingOpeningPrices – Samples the trailing stop (based on opening prices). LotDigits – Rounding for the lot (2-0.01 ; 1-0.1 ; 0-1.0). 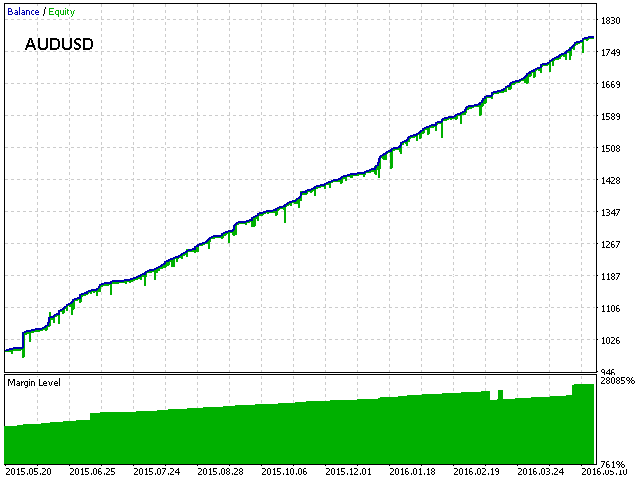 Risk – Sets the lot depending on the deposit (per $1000 at Risk=1000, lot is 0.01 (at LotDigits=2)). Lot – Volume of the position, if the 'Lot' is greater than zero, the 'Risk' parameter is ignored. MulLotLimit – Limiting the maximum lot size (multiples relative to the initial one). Drawdown – Virtual Stop Loss, % of the balance (drawdown by funds), at which the order is closed. SpeedControl – Enables or disables spread control, specified in the LimitAvgSpread parameter. Inversion – Sets the operation direction, false - by channel, true - by trend (by channel is more effective). MulLotBuy – Lot multiplier for an impact trade. 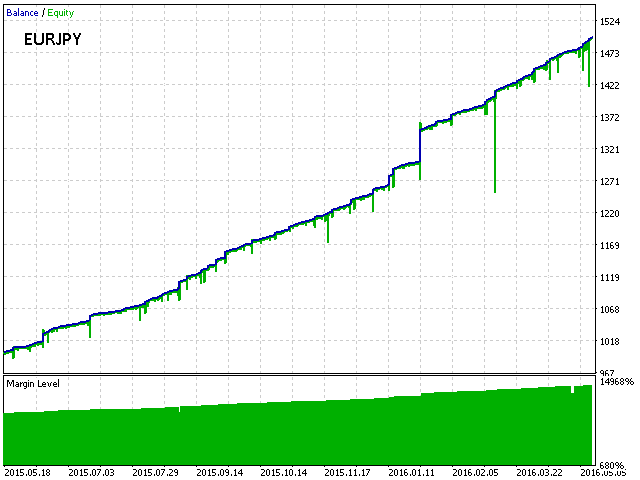 StopLossVirtual – Stop Loss - virtual. * Specified are the parameters which need to be optimized, and the optimization boundaries. ** All fields related to the price are specified in pips (for 5-digit quotes). Профессиональный Эксперт, подходит как для среднесрочных, так и для долгосрочных сделок и самое главное Экспертная система проводит без рисковые сделки, так как постоянно проверяет депозит, что является очень Важным фактором. Данный фактор обусловлен отсутствием зависимости от количества выставленных лотов, а зависит от размера Депозита , причем риск выставляю самостоятельно. Тонкие настройки столь Важны и несложны в применении а так-же легко адаптируются под любую стратегию Трейдера. Экспертная система работает аккуратно и не реагирует на новости, что так же является большим плюсом. Разработчик оперативно отвечает на все вопросы и помогает подстроить данную Экспертную систему под любые особенности Брокера. Работает экспертная система на любом тайм фрейме , но больше мне понравилось на М5 . За сутки я вернул 10% от потраченной суммы . Due to the changes in the terminal, here is the new version of the expert, which takes all the changes into account. Added check, for correct operation, only works on netting accounts (one symbol can have only one position). Changed the Custom function. Added the ability to manually set the lot size and fast closure on Friday.